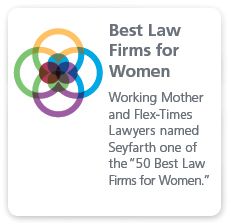 In a rapidly changing and increasingly complex regulatory and economic landscape, sophisticated clients turn to Seyfarth Shaw’s capital markets attorneys for innovative solutions, forward thinking advice and counseling, and well-managed and cost-effective advocacy. Whether our clients need to navigate securities and corporate governance rules, or comply with ever-evolving U.S. and foreign securities requirements, or conduct large capital market transactions, our securities attorneys are recognized for providing clarity in the face of complexity. 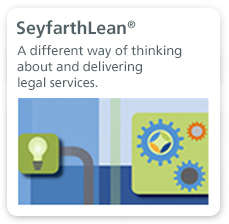 Likewise, we rely on our industry-leading SeyfarthLean program to anticipate and respond to our clients’ business needs in a quick, seamless and transparent manner. We represent issuers, financial institutions and investors in planning, negotiating and executing complex capital market transactions, which can range from a few million dollars to more than $1 billion. Our clients hail from industries as diverse as telecommunications and healthcare to traditional and renewable energy to life sciences and real estate investment trusts. They include large corporations, investment banks, investment advisors, broker dealers, private equity funds and institutional investors. Our work runs the gamut from Initial Public Offerings and follow-on offerings to private placements and registered-direct transactions. In all of these matters, we intimately understand the critical timing for speed-to-market execution, particularly when clients need to raise money under tight deadlines. For our corporate and investment clients, we provide ongoing, proactive and cutting-edge securities advice on the Securities Act of 1933, the Securities Exchange Act of 1934, the Investment Advisors Act of 1940, the Sarbanes-Oxley Act of 2002, the Dodd-Frank Act of 2010, federal and state securities laws, and the rules of the New York Stock Exchange, and NASDAQ markets. 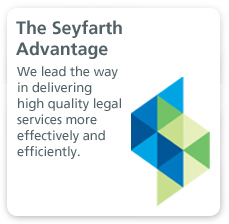 In the area of corporate governance, which has attracted increased scrutiny in recent years, we advise clients on executive compensation, the makeup of boards and committees, and best practices in governance, including those relating to fiduciary duties and responsibility, shareholder relations, disclosure and management succession plans.